JUAZEIRINHO/BOM JARDIM, Brazil, Jul 20 2018 (IPS) - Rocks, once a hindrance since they reduced arable land, have become an asset. Pedrina Pereira and João Leite used them to build four ponds to collect rainwater in a farming community in Brazil’s semi-arid Northeast. On their six-hectare property, the couple store water in three other reservoirs, the “mud trenches”, the name given locally to pits that are dug deep in the ground to store as much water as possible in the smallest possible area to reduce evaporation. “We no longer suffer from a shortage of water,” not even during the drought that has lasted the last six years, said Pereira, a 47-year-old peasant farmer, on the family’s small farm in Juazeirinho, a municipality in the Northeast state of Paraíba. Only at the beginning of this year did they have to resort to water distributed by the army to local settlements, but “only for drinking,” Pereira told IPS proudly during a visit to several communities that use innovative water technologies that are changing the lives of small villages and family farmers in this rugged region. To irrigate their maize, bean, vegetable crops and fruit trees, the couple had four “stone ponds” and three mud trenches, enough to water their sheep and chickens. “There was nothing here when we arrived in 2007, just a small mud pond, which dried up after the rainy season ended,” she said. They bought the property where they built the house and lived without electricity until 2010, when they got electric power and a rainwater tank, which changed their lives. The One Million Cisterns Programme (P1MC) was underway for a decade. With the programme, the Articulation of the Semi Arid (ASA), a network of 3,000 social organisations, is seeking to achieve universal access to drinking water in the rural areas of the Northeast semi-arid ecoregion, which had eight million inhabitants in the 2010 official census. The network promoted the construction of 615,597 tanks that collect water from rooftops, for use in drinking and cooking. The tanks hold 16,000 litres of water, considered sufficient for a family of five during the usual eight-month low-water period. Other initiatives outside ASA helped disseminate rainwater tanks, which mitigated the effects of the drought that affected the semi-arid Northeast between 2012 and 2017. After the initial tank is built, rainwater collection is expanded for the purposes of irrigation and raising livestock, by means of tanks like the ones built in 2013 on the farm belonging to Pereira and her husband since 2013. ASA has distributed 97,508 of these tanks, benefiting 100,828 families. 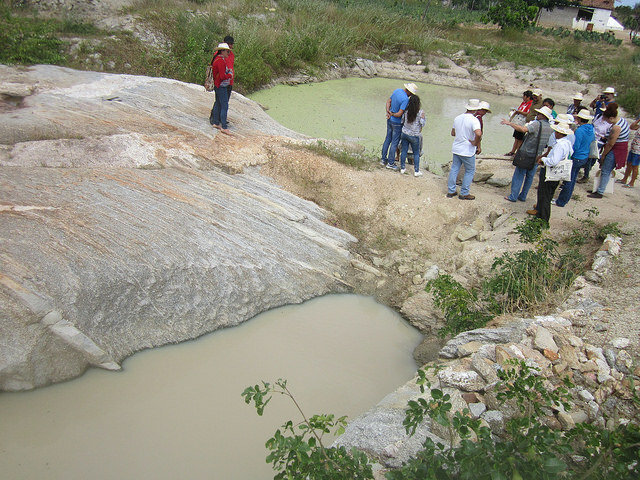 Other solutions, used for irrigation or water for livestock, include ponds built on large rocks or water pumps used by communities to draw water from deep wells. Tanks holding up to 52,000 litres of rainwater, collected using the “calçadão” system, where water runs down a sloping concrete terrace or even a road into the tank, are another of the seven “water technologies” for irrigation and animal consumption disseminated by the organisations that make up ASA. 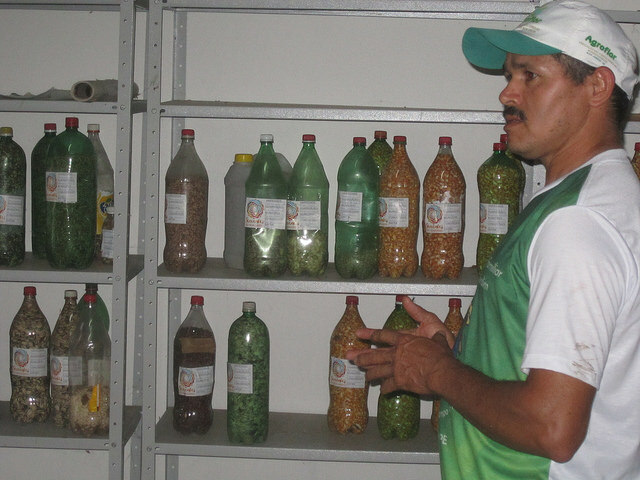 In the case of Pereira and Leite, this water infrastructure came through the Programme for the Application of Appropriate Technologies for Communities (Patac), an organisation that seeks to strengthen family farming in small agricultural communities in Paraiba. The tanks and terraces are made with donated material, and the beneficiaries must take part in the construction and receive training in water management, focused on coexistence with the semi-arid climate. Community action and sharing of experiences among farmers is also promoted. 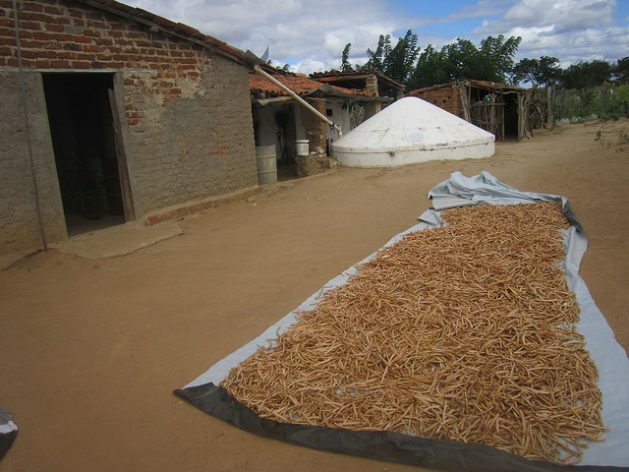 Beans drying in the courtyard, and piled up inside the house, even in the bedroom, show that the Pereira and Leite family, which also includes their son, Salvador – who has inherited his parents’ devotion to farming – managed to get a good harvest after this year’s adequate rainfall. Maize, sweet potato, watermelon, pumpkin, pepper, tomato, aubergine, other vegetables and medicinal herbs make up the vegetable garden that mother and son manage, within a productive diversification that is a widespread practice among farmers in the semi-arid region. Also contributing to this diversification are eight sheep and a large chicken coop, which are for self-consumption and for sale. “Our family lives off agriculture alone,” said Pereira, who also benefits from the Bolsa Familia programme, a government subsidy for poor families, which in their case amounts to 34 dollars a month. “I am one of the customers for Pedrina’s ‘cuzcuz’, which is not only tasty but is also made without toxic agricultural chemicals,” said Gloria Araujo, the head of Patac. She was referring to a kind of corn tortilla that is very popular in the Brazilian Northeast, an important source of income for the family. Living in the community of Sussuarana, home to 180 families, and forming part of the Regional Collective of farmers, trade unions and associations from 11 municipalities from the central part of the state of Paraiba, offers other opportunities. Pereira has been able to raise chickens thanks to a barbed wire fence that she acquired through the Revolving Solidarity Fund, which provides a loan, in cash or animals, that when it is paid off goes immediately to another person and so on. A wire mesh weaving machine is for collective use in the community. In Bom Jardim, 180 km from Juazeirinho, in the neighbouring state of Pernambuco, the community of Feijão (which means ‘beans’) stands out for its agroforestry system and fruit production, much of which is sold at agroecological fairs in Recife, the state capital, 100 km away and with a population of 1.6 million. “I’ve lived here for 25 years, I started reforesting bare land and they called me crazy, but those who criticised me later planted a beautiful forest,” said Pedro Custodio da Silva, owner of 2.5 hectares and technical coordinator of the Association of Agroecological Farmers of Bom Jardim (Agroflor), which provides assistance to the community. In addition to a diversified fruit tree orchard and vegetable garden, which provide income from the sale of fruit, vegetables and pulp, “without agrochemicals,” a stream that had dried up three decades ago was revived on his property and continued to run in the severe drought of recent years. 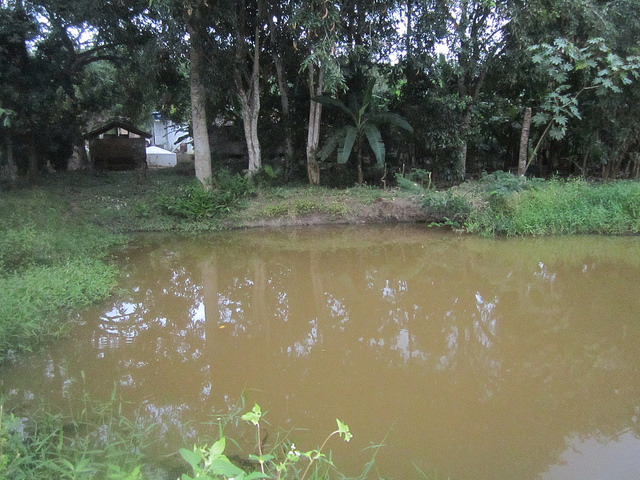 It filled a small 60,000-litre pond whose “water level drops in the dry season, but no longer dries up,” he said.